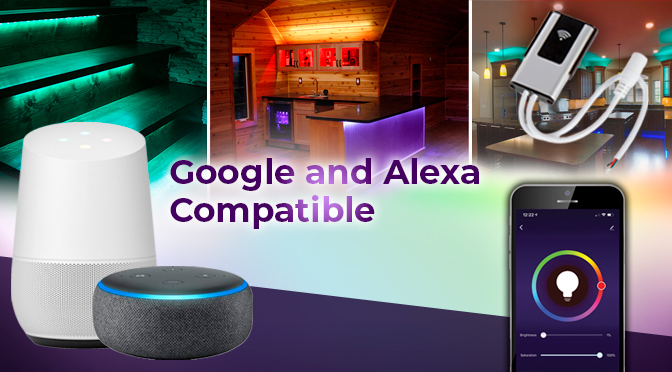 If you’ve discovered all the glory of LED strip lights, you’ll be even more impressed with our Alexa/Google Assistant compatible Wi-Fi LED controllers. These compact controllers are available for single-color, RGB, or RGBW LED strip lights. Tired of looking for remotes? Just tell your Amazon Echo or Google Home device what you want to happen. Whether that’s turning them on or off, changing brightness, or choosing a color, you have basic control at the tip of your tongue. 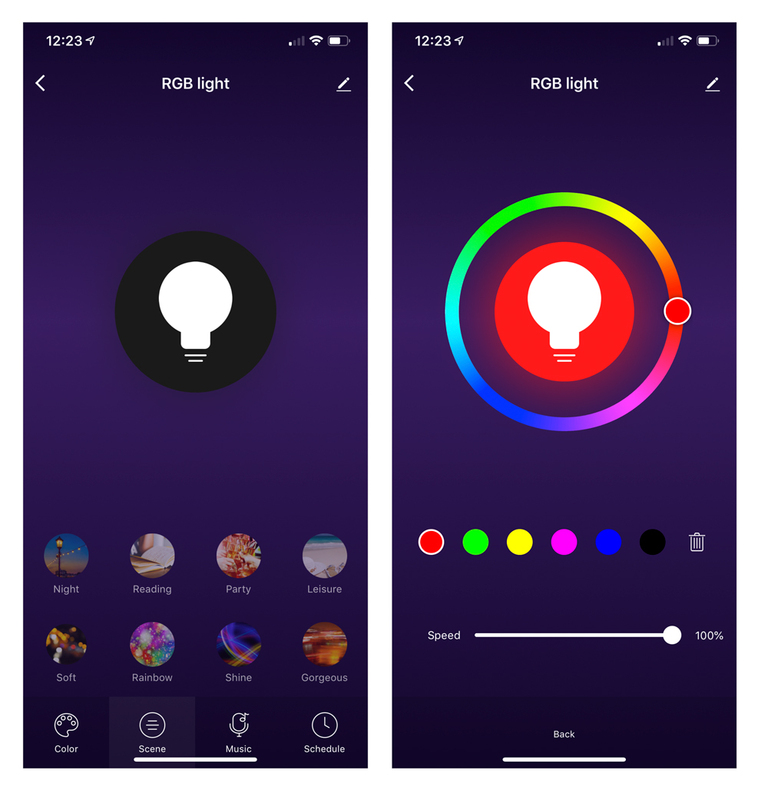 Control these with your Alexa or Google Home device or through the Alexa, Google Home, or Smart Life app. Saturation control is also available for colors. RGB and RGBW controllers have preset color-changing modes (scenes). You can select which colors appear in these scenes and control the speed at which colors change, fade, or flash. 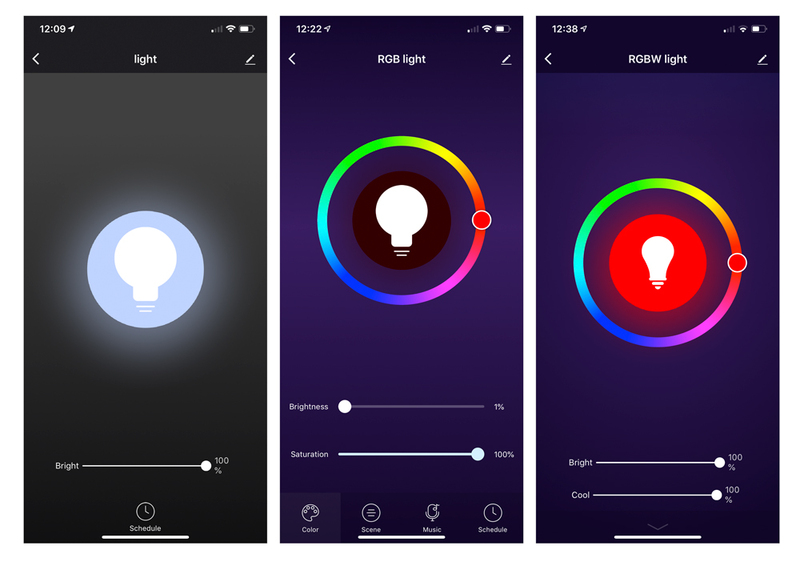 Use your phone’s microphone to pick up sounds or music, and colors will flash to the beat. This feature is available with the RGB LED controller only. With conditional programming, you can tell your strips what action to perform when certain conditions are met. The Smart Life app includes several conditions, such as weather, temperature, and humidity. 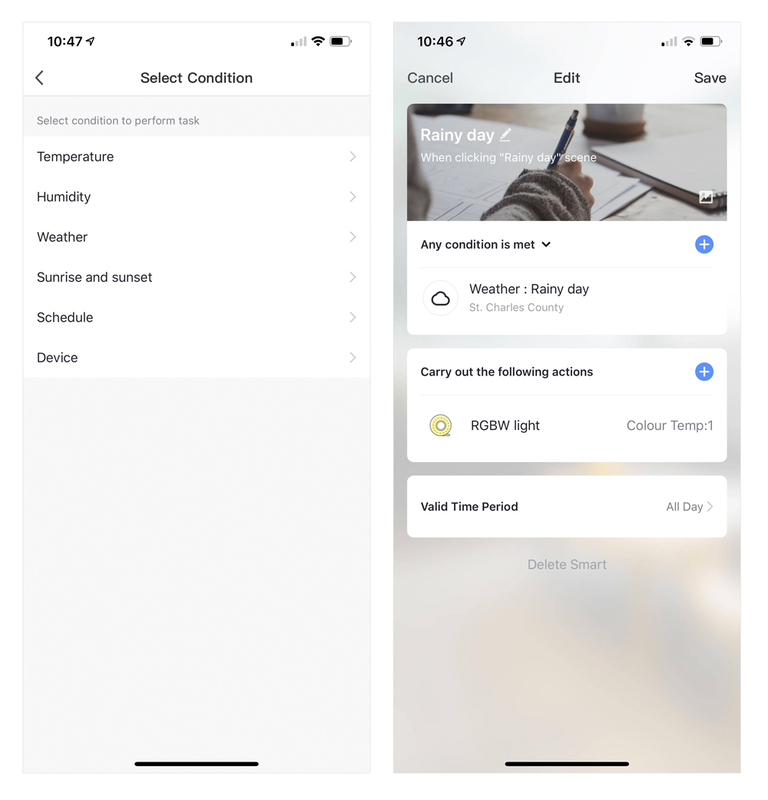 Alexa and Google Home app conditions are more specific but are a bit more user friendly. In the Alexa example below, RGBW strip lights are set to turn orange at 10 percent brightness at 5:45 a.m. (when the sun rises). Incorporate your strips into a set command, such as “Alexa, wake me up,” or “Hey Google, it’s time to party.” The options are endless with Alexa or Google Assistant. Control what time your lights turn on and off or how long they stay on for. You can set schedules and timers in any of the three apps. All of these smart LED strip light controllers have plug-and-play DC barrel connectors for CPS power supplies. 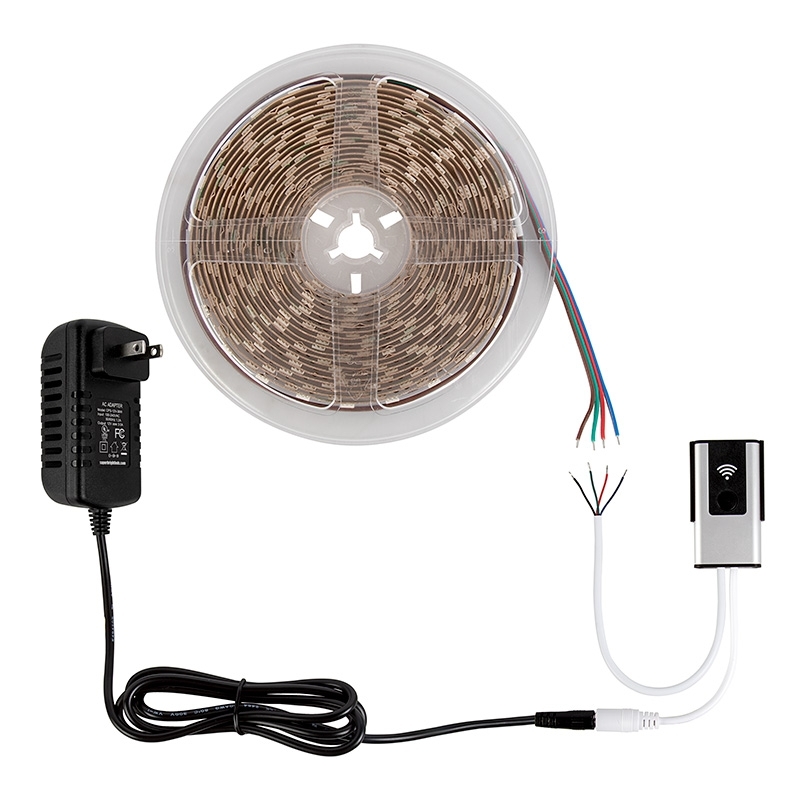 RGB and RGBW versions have pigtail strip light wire leads that are easy to connect with wire nuts or quick connectors. Female or male barrel connector adapters are available for strip lights or power supplies with pigtail wire leads. 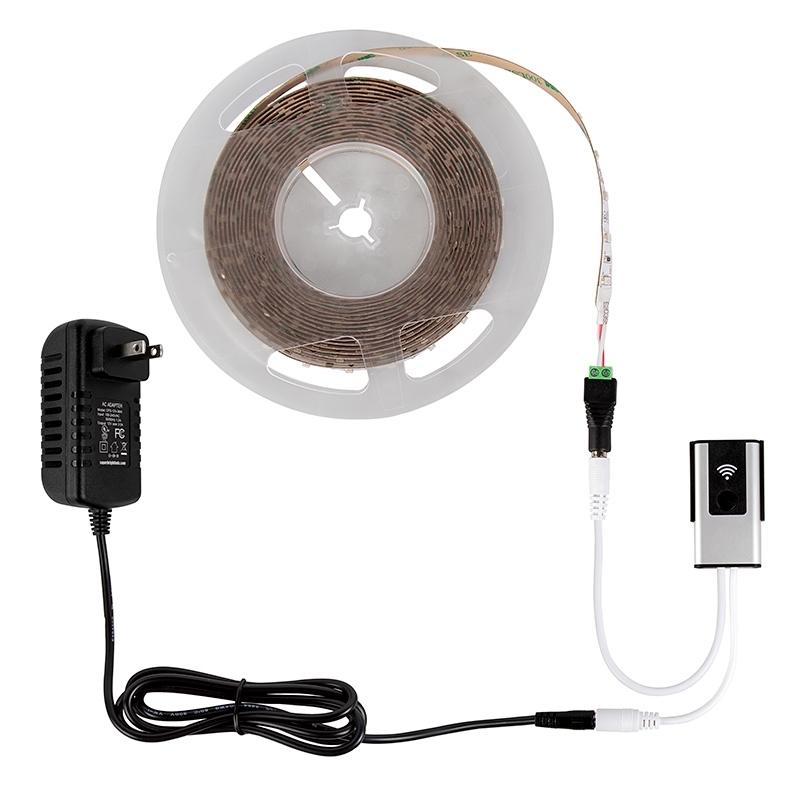 The smart LED controllers are compatible with strips that operate on 12-24 VDC. LED Banner Display Lights for Trade Shows, Exhibits, Signage, and More!